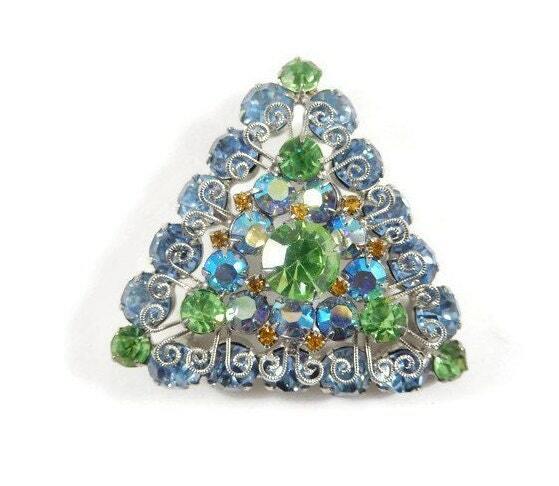 This is a stunning large vintage triangular brooch. It is silver tone and dimensional with three layers. 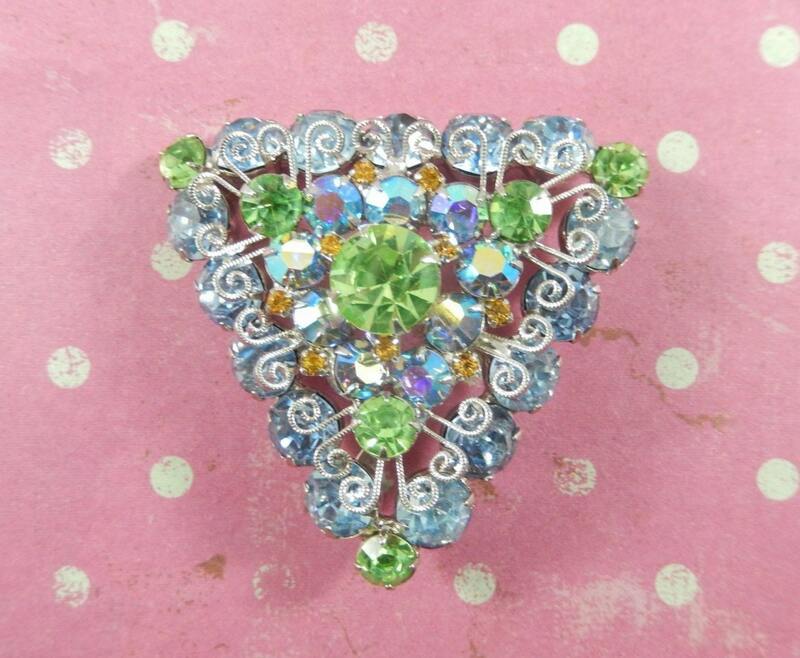 The center is a large round light green faceted rhinestone. 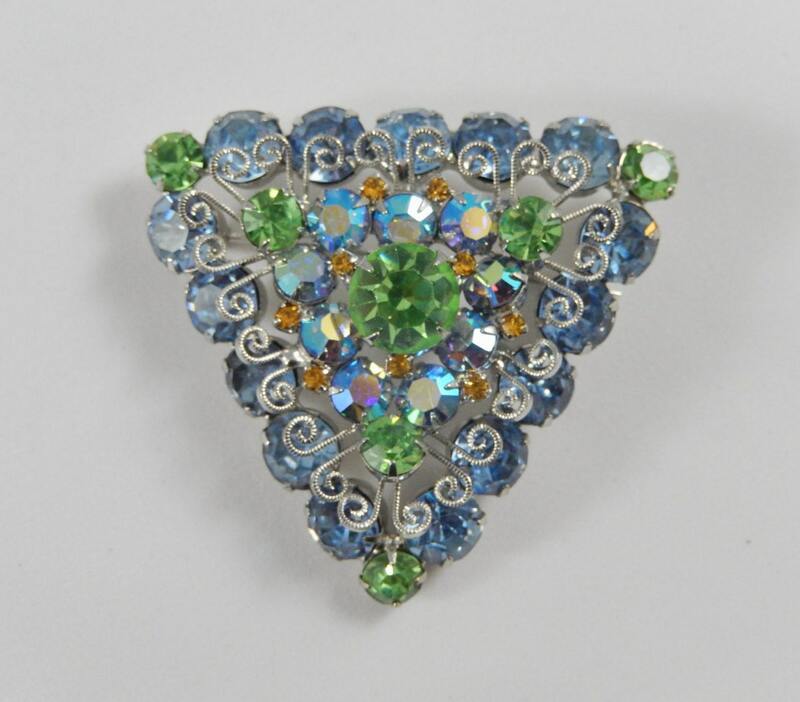 This is surrounded by smaller green, AB, and topaz colored rhinestones. 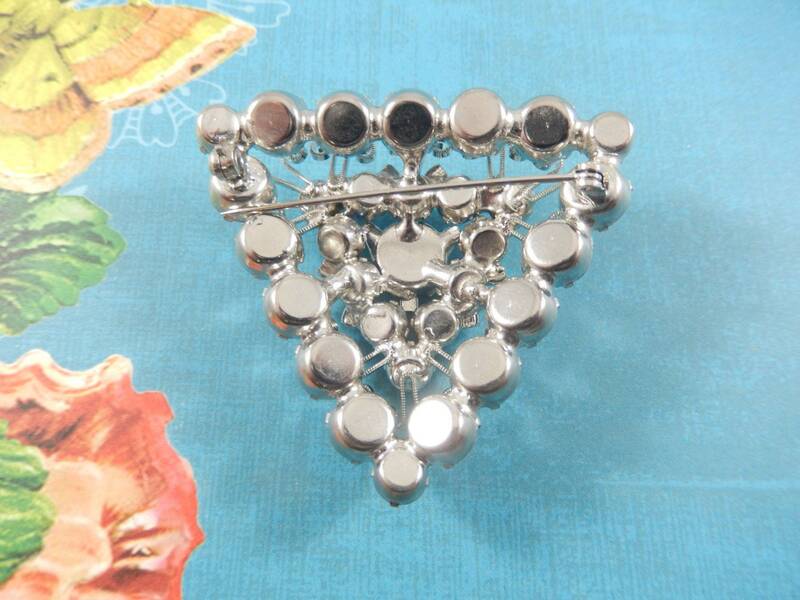 The outside layer of this is a wonderful textured silver tone filigree design. The bottom layer is larger light blue round rhinestones with a green one at each corner. All of the rhinestones are prong set and faceted. It measures 2 1/4" on each side. The pin closure is straight and works smoothly and securely. It is unsigned but definitely a quality piece that would be a WOW factor in anyone's collection!